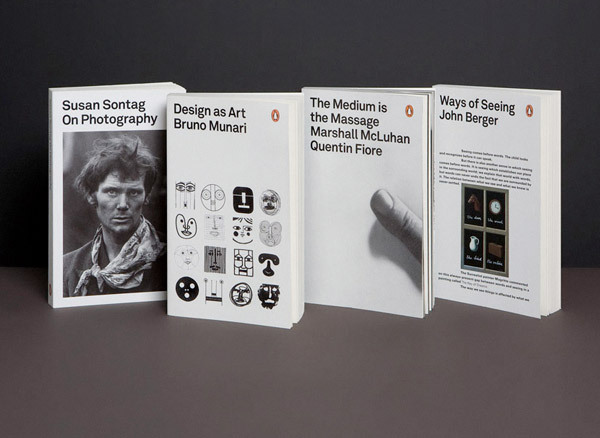 If you follow design blogs at all, you’ve undoubtedly seen the new Penguin on Design series, designed by Yes Studio. And for good reason, they’re gorgeous. What I haven’t seen, however, is any mention of the original work that these covers are referencing. 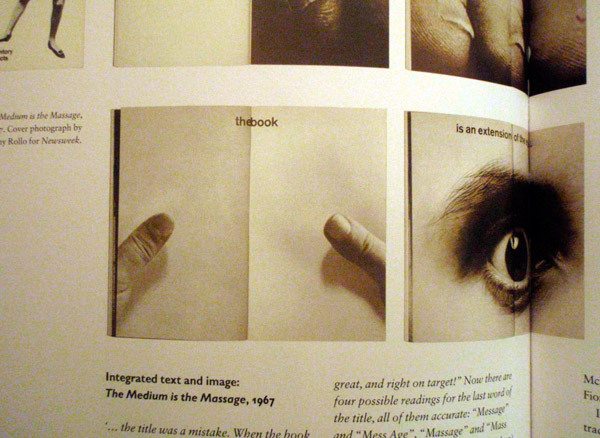 The design for The Medium is the Massage, for instance, is taken directly from one of the interior spreads of the original book, designed by Quentin Fiore. 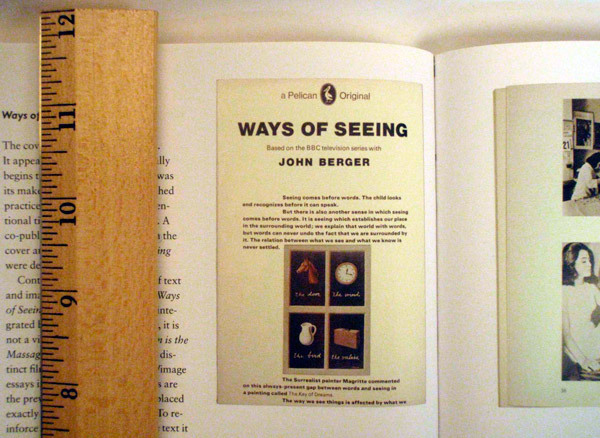 While Ways of Seeing is a basic rehash of the cover that’s existed in one form or another for 30 years. Artwork by Magritte, design by Richard Hollis. As for the other two, I know that the pictographs on Munari’s book come from his own collection of work, and I have no idea what the Sontag photograph is from (need to read that one yet.) A bit’o'trivia, though: John Gall named On Photography as the most “meaningful [book] to his development as a creative person”. Read up on that and a whole list of other designer’s favorite books here. Photos from Phil Baines’ Penguin by Design. Caustic Cover Critic also has a post about these covers, with images of the first editions of Sontag’s book. (The current paperback edition in the United States, however, carries a third image.